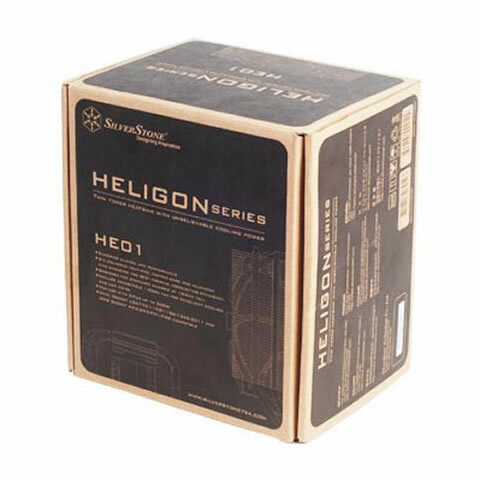 Silverstone Technology has announced their latest Heligon SST-HE01 CPU Cooler which makes use of a dual tower heatsink design. 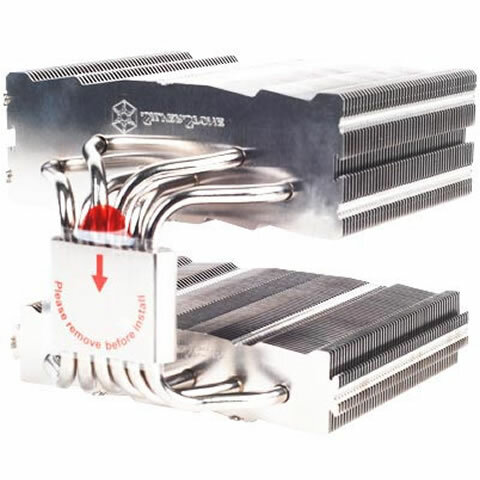 The heatsink offers upto 300W of cooling power with its dual tower aluminum fin blocks which feature six 6mm heatpipes running through the copper base plate. 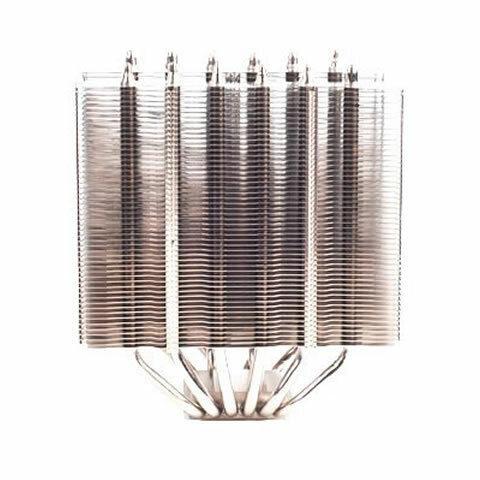 A single 140mm PWM controlled fan is supplied with the package which runs from 500~2000 and 500~1200 RPM depending on the PWM mode set by users. 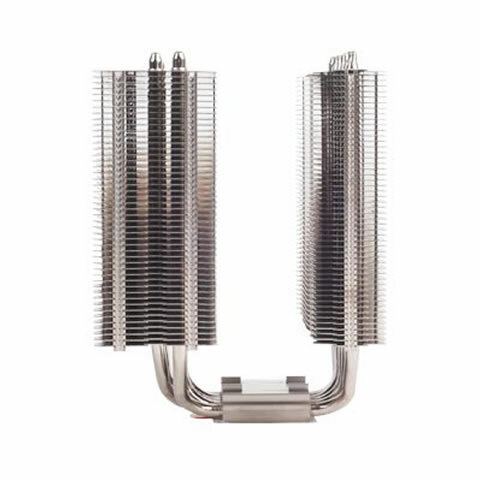 Noise level ranges from 18 ~ 41DBA with an airflow of 42.8 ~ 171 CFM. 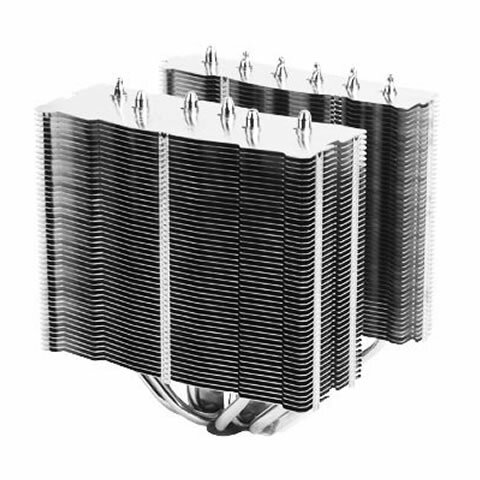 Dimensions of the cooler are 140mm (W) × 119mm (D) × 160mm and weighs 926g, 1059g with fan included. 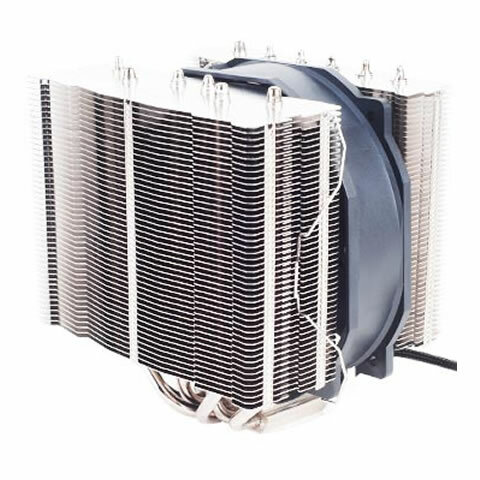 The cooler launches on 10th August for $102.